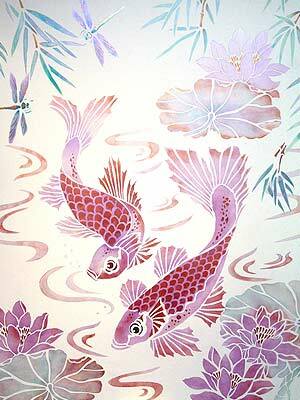 The Koi Carp Mural Stencil combines our Koi Carp Stencil, Water Lilies Stencil and Bamboo & Water Swirls Stencil in one eleven sheet pack. 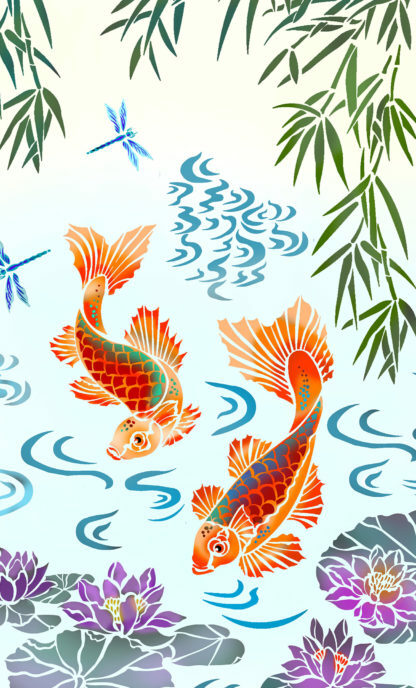 Use this combined multiple pack to create stunning mural features with the Koi Carp swimming amongst lily pads and water swirls, under weeping bamboo. 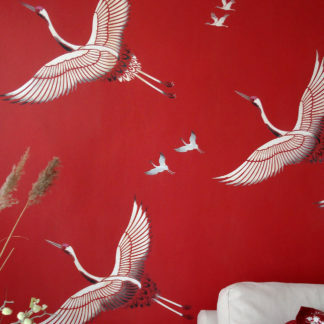 Suitable for halls, bathrooms and any area that lends itself to special decorative features. See size and sheet layout Specifications Below. 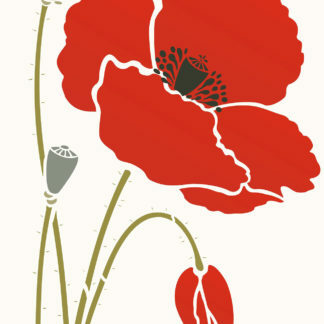 Stencil in monochromatic colour palettes for a unified feel or in more elaborate colour schemes to create more of an illustrative style. The Koi Carp, Water Lilies and Bamboo motifs of this stencil theme pack are also beautifully complemented by the Dragonfly Stencil. 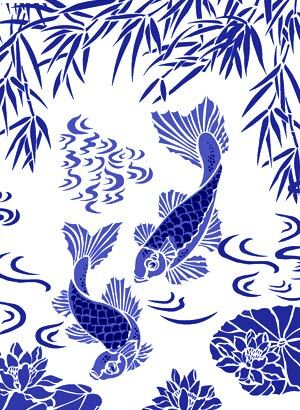 Above – the different motifs of the Koi Carp Mural Stencil arranged as a feature mural and stencilled in China Blue Stencil Paint. 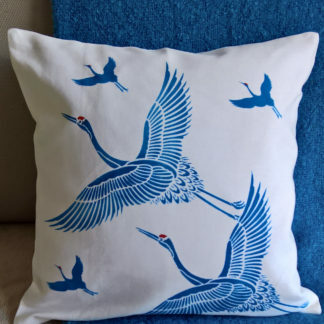 The layer two fish scales are also stencilled in China Blue and over-stencilled to build up opacity. Above – close up section of some of the motifs of this theme pack stencilled in Sea Green and Emerald Forest Stencil paints. 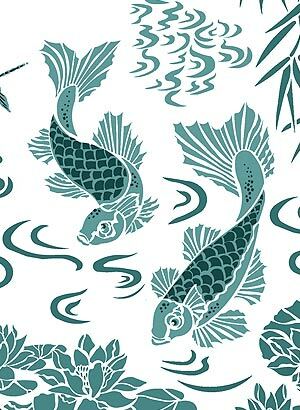 The Bamboo & Water Swirls theme pack, Water Lilies Stencil theme pack and the Koi Carp Stencil theme pack are also all available individually. 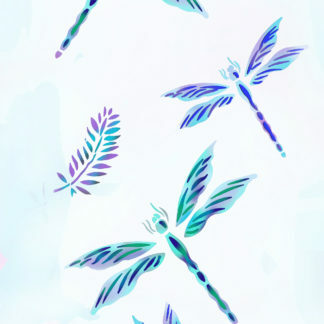 This stencil also looks fantastic with the Dragonfly Stencil and Chinese Border Stencil. 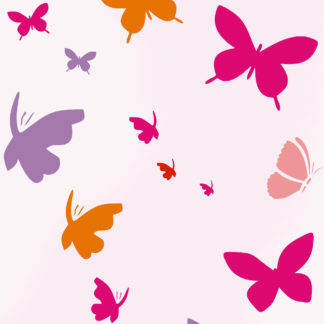 Each motif in this pack comes on a separate sheet so you can choose the exact layout and design you want for your mural, but the pack also comes with full instruction sheet for creating the look and effect of the mural as illustrated here (top right). 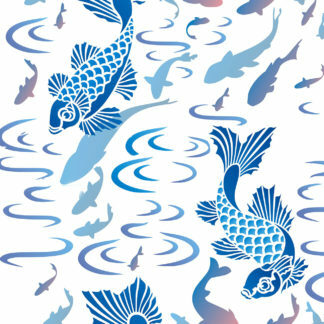 Above and below – the different motifs of the Koi Carp Mural Stencil are arranged together here as a koi carp feature mural. 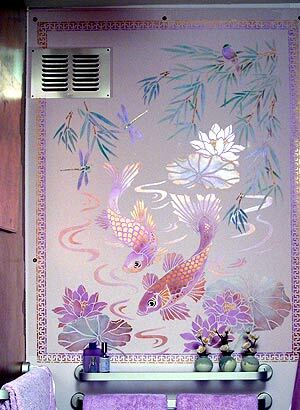 Fish and water swirls stencilled in Indian Purple and Forget-me-not Stencil Paints with scales and highlights in Copper Metallic Stencil Paint. 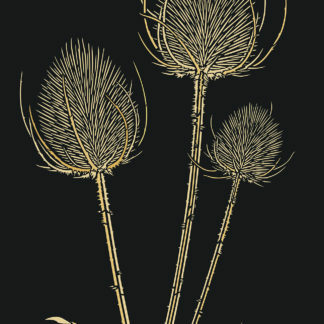 Water lilies and weeping bamboo in French Lavender, Willow and Emerald Forest Stencil paints with twigs and metallic highlights in Copper and Pearl Metallic Stencil Paint. 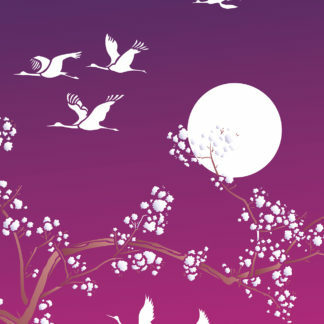 The mural design is complemented by the Dragonfly Stencil and framed by the Chinese Border Stencil. 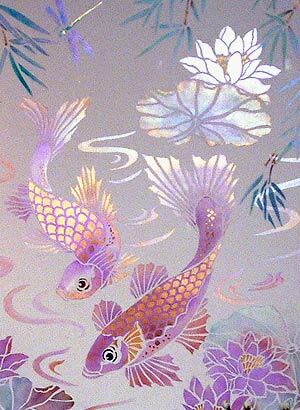 Above – close up section of the Koi Carp Mural Stencil stencilled in Indian Purple and Forget-me-not Stencil Paints with metallic highlights in Copper and Pearl Metallic Stencil Paints. Above – the different motifs of the Koi Carp Mural Stencil grouped together to create a mural feature and stencilled in Seville Orange and Raspberry Stencil paints. 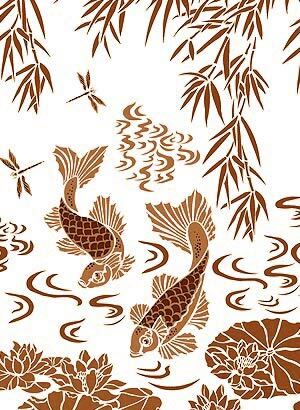 Above – the different motifs of the Koi Carp Mural Stencil theme pack stencilled with the Dragonfly Stencil in Chocolat and Coffee Bean Stencil Paints. 2 x 2 layer Koi Carp up to 41cm (16″”) high x 20cm (8″). 3 x 1 layer Water lily motifs up to 42cm wide x 24cm (16 1/2″ x 9 1/2″). 2 x 1 layer water motifs up to 41cm (16″) wide x 22cm (8 1/2″). 2 x 1 layer bamboo motifs up to 41cm (16″) long and 23cm (9″) wide. 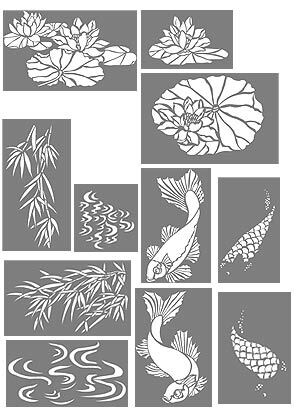 Left – the 11 sheets of the Koi Carp Mural Stencil stencil theme pack.